I hope this doesn’t sound too silly. Actually, I’m hoping it’s a bit common. With certain people, usually those I am very close to (one person in particular- my mother), I can sense when they are about to call or text me! That… does sound a bit silly I suppose. It’s not all the time or everyday. But often I will just get a feeling. I can’t tell you how many times I’ve thought about someone and text them then, almost immediately, I get their text because we were both texting at the same time. Or I feel the need to pick up my phone only for someone to call me as soon as I get my phone. This wouldn’t surprise me if I was a constant texter or talker, however I am not. I guess I’m posting my goofy story to see if anyone has any similar experiences or input. Doing some light research I came across clairvoyance and being sensitive to energy. I don’t think I’m a psychic or anything, but I do wonder if this has something to do with sensing “energy” if I may call it that. How Do You View “Aspects”? This is not so much a specific question I have, more a discussion topic. So, the concept of gods having different “aspects” seems to be taken for granted in paganism/polytheism. It’s a seriously complex topic, both historically and in personal understanding. Most of my personal practice falls under the concepts of “ancestor veneration” and “animism”, working with local land spirits or household deities and such. I don’t call attention from the “big” gods very much, partly because they blow my mind. My brain really wants to put things into tidy categories, so I struggle with how some people’s interpretation of “aspects” conflicts with very hard polytheism. 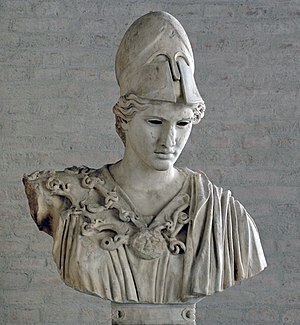 A historical example: as time progressed Roman philosophy eschewed individualism in deities, and “absorbed” smaller local deities into larger universal ones, especially as the empire expanded. One aspect concept: many gods change their “appearance” to reflect different parts of their personality or goals. A number of gods can appear young or old, for example, or Hekate’s triplicity. Some folks call this an “aspect”. But, then sometimes Hekate is viewed as an “aspect” of Diana. Using the above description, this would mean that Hekate and all her functions are a face of Diana, rather than an individual. And then – what of similar gods from other cultures? Where do you “split” their identities? It seems obvious that Thor and Zeus are different people. But what of Thor and Perkunas? Like the Roman’s concept, are they simply locational translations of larger gods? Or are they individuals who cover similar duties for a different group of people? I’m under the impression that Kemetics (for example) have no problem with gods being both individual and plural and mixes of each other; I believe the quote is “the gods are individual except when they’re not”. But I am asking more about cross-cultural PIE gods, and how they fit into this concept. Basically, my problem is not whether the gods are or are not individuals: my problem is with the definition of the word “aspect”, and how it gets thrown around a lot. Wasn’t entirely sure where to post this – here or in Pagan Religions – so I settled on here. I’m doing a talk at my local Pagan Pride in August, on the subject of diversity of paths under the Pagan ‘umbrella’, from a sociological perspective. I haven’t chosen a title yet, but it will be something akin to ‘Beyond Earth Worship: Diverse Paths Under One Pagan Umbrella’. In the UK (as came up on this forum recently), there’s an assumption that Paganism means neo-Wiccan and nature-centered. This is mainly because there isn’t much representation of other paths in the community. They do exist, but not on a very large scale. For example, there used to be a UK polytheist organization that could not sustain membership; there are heathen groups, but (from my understanding) not in that many areas; finding reconstructionists in the UK is a challenge. You would have my utmost gratitude if you’d be willing to share any stories, and I hope that they will help educate an audience that is much in need of education! *I know that the two are not mutually exclusive, but in this country, being a deity-centred Pagan is fairly rare, and not being an earth-centered Pagan is even rarer. So. **I’m bound by the confidentiality and anonymity guidelines of the British Sociological Association, even in informal talks. Information on or Experiences with the Minoan Brotherhood? I have heard some podcasts recently discussing this tradition, and I find it kind of interesting. While not a reconstructionist path, it involves Aegean and Near Eastern influence, and apparently honours the Great Goddess Rhea, and her consort, the bull of heaven, Asterion. The Brotherhood is a tradition of homosexual men, while there is also a Minoan Sisterhood, a lesbian offshoot. I wonder why the Minoans became the subject of a homosexual-oriented tradition, probably just because it was what the tradition’s founder, Eddie Buczynski, was interested in. Although, I think he founded a Welsh tradition previously. He was a Gardnerian initiate, so I think the MB has Gardnerian influence as well, and a three degree system of initiation. There aren’t any MB groves in my area, but I have been in touch with a priest in the US who has offered me long-distance training. I’m not sure if I’m going to do it, as I sort of prefer to do my own thing when it comes to my religious practice, and don’t have much desire to participate in any organized tradition unless it’s something I really relate to, but I am interested and might do some outer-court studies before I decide one way or the other. Does anyone have any knowledge or experience with this tradition? I’ve got my eye one Oedipus Borealis: The Aberrant Body in Old Icelandic Myth and Saga but it’s really expensive so if any one has read it I would like to know what you thought? I’d prefer books written by people with disabilities but if you’ve read something really good that isn’t I’ll look into that too. Usually when I offer food I leave it out for several hours and then dispose of it outside in nature. However this interests me as a practice. I also offer oil to fire, and incense as well. How do other people deal with their offerings and what other sort of things do you offer? First, I’m looking for some good books on meditation, preferably ones that could help me learn how to. I’d like to eventually be able to journey. Right now, though, I just can’t get the hang of meditation in general, and don’t know where to begin. If anyone could recommend something, I’d really appreciate it. Am I Possibly Practicing the Wrong Faith? When I discovered Wicca, I decided this was the case for the most part, maybe, but not exactly. And like I said before, I don’t like it when things aren’t perfectly clear. So here is what I do know: I discovered tarot, enjoy it, and feel I have a strong affinity for it. I agree with the one rule of Wicca (to harm none, essentially) but also understand most Pagan religions share this rule. I enjoy the rituals of Wicca and like to celebrate nature and the earth. But then we get into dieties…. This is where I feel fuzzy. I believe there is something out there. Someone perhaps. Maybe multiple. But I don’t feel I can call this being or beings by name. So I guess my question is, does this matter? Or am I possibly practicing the wrong faith? I love opinions, hit me with everything you’ve got!